Products & Customers: What Are You Delivering? Seth Godin, one of the most-read bloggers on the web, understands that at the end of the day, nothing else matters besides the product that you deliver to your customers. If you aren’t in a position to deliver a product of the highest quality, are you willing to put your name on it? Every person in the world has a product they are delivering, and you all have customers that you’re delivering it to. Whether you’re a professor delivering a lecture to a class of university students, or a middle-level manager in a meeting at a Fortune 500 company — you have customers; and you are delivering a product to them, whether you realize it or not. If you’re a lawyer who hasn’t won a case in years, it doesn’t matter if you drive to the courthouse in a Bentley— you’re not a good lawyer. If you’re a salesman who can’t get signatures on checks, it doesn’t matter if you generate more leads than anyone else in your department — you’re a sub-par salesman. If you’re an editor who consistently overlooks typos and grammatical errors, it doesn’t matter if you’re editing Malcolm Gladwell’s next book — you’re a poor editor. If you can’t deliver a quality product in a timely manner, all other circumstances surrounding your work are meaningless. It’s all too easy to rely on external factors to make up for your own lack of diligence; we’ve all done it. You may be able to slide by on other people’s laurels for a while, but eventually your customers will judge you by the quality of your work — not what people think about you, who you work for, or what you’ve done in the past. 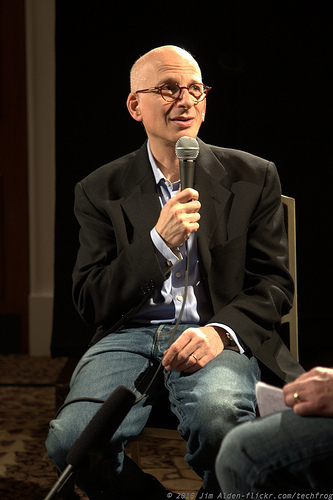 Seth Godin is arguably the greatest communicator in the world today. Yet, he refuses to join Twitter. He’s willing to forego an entire medium of communication because he believes he won’t be able to maintain the incredibly high-standard he’s set for the way he engages with his customers. If your name is going on it, refuse to settle for mediocrity, even if it means hours of extra work or foregoing an opportunity entirely. Be vigilant about protecting and maintaining your personal brand image. Your customers, whoever they may be, are almost always interested in quality over quantity — give them a reason to expect quality products, and deliver products that meet that expectation. Also a big fan of Seth Godin (some very cool videos on YouTube). Here’s a slightly contrarian view on “quality”, I think customers judge us on perceived value; benefit for price. Both Mercedes and Toyota deliver excellent quality and value for money but here’s the thing, they are not equivalent standards of quality. If someone paid a Mercedes price and received Toyota quality they would feel dissatisfied.On the other hand, if someone charged a Toyota price and delivered Mercedes quality the customer would feel great but the seller may not make a profit. The bottom line, when we pay a certain price, we expect a certain quality. The hospitality answers that question quite well with star-grading systems. Hey Shaun – thanks for reading. I completely agree with you. In this post, I was coming at it more from the angle of: even if you don’t realize it, you have customers and you’re delivering a product (even if it’s not in the traditional sense), and in light of that, it’s helpful to think about what kind of product you’re actually delivering to your customers. I touched on it at the very end in this post (“give [your customers] a reason to expect quality products, and deliver products that meet that expectation.”), but I’m sure there’ll be a post in the future on perceived quality & expected quality – especially coming from the business side of the table, rather than the customer.